Skateboard complet dans une bonne taille pour les débutants. Cushions inclus, pour une meilleure stabilité. Super content de l achat livraison parfait dans les délais . Bon produit pour un débutant comme ma fille de 7 ans! It was really disappointing to receive a skateboard on which the grip tape was badly applied and keeps coming off the deck. 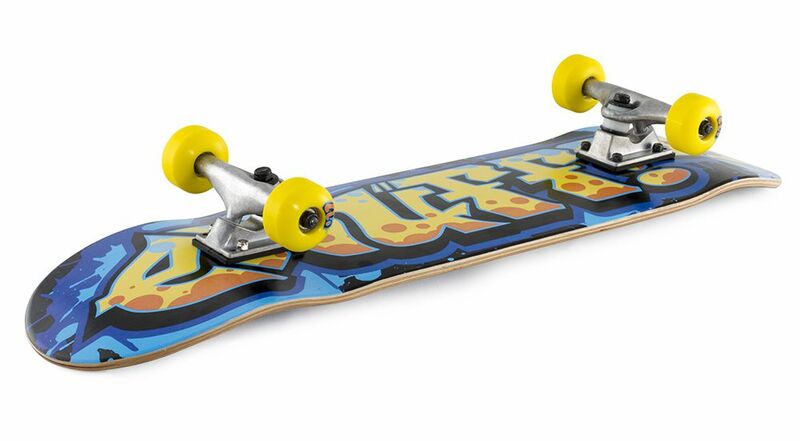 My goal in buying a "complete" skateboard was to avoid having to take care of basic stuff such as installing the trucks and applying the grip tape to the deck. Instead, I will probably have to buy a new grip tape and install it myself. [*** This is my initial review for which I gave 1 star to the Enuff Graffiti II Skateboard ***] *** Update (10/23/17): After reading my initial comment, Soraya (Customer Connection Team) contacted me to quickly find a solution to my disappointment. As a result, some brand new grip tape is on its way. Can't way to receive it and apply it to hit the road. And thumbs up for following-up on my review!! !